GOVERNMENT is working on modalities to provide free blood in public hospitals as efforts to improve access to quality health gain pace. 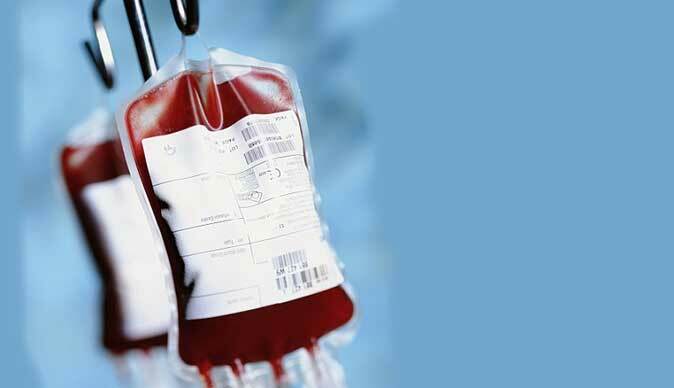 Health and Child Care Secretary Major-General (Retired) Dr Gerald Gwinji said measures were in place to reduce the price of blood which stands at US$50 from US$100 per pint. The Government is targeting to start offering free blood to all patients in public health institutions in June this year. Currently, only pregnant women and children under the age of five are getting free blood. The price of local blood is higher compared to other regional prices, forcing some patients to import from neighbouring countries such as Zambia. "We are looking at how we can fully finance the purchase of blood so that it's free to patients in public hospitals," said Dr Gwinji. "The investments made so far brought down the cost to US$50 for the general public patient and to zero for pregnant women and children under five years. "We hope to mobilise more resources and partnerships to achieve a zero-cost at point of access for the patients. "There is a reasonably flow of foreign currency to support the health levy in importing medicines and sundries while we wait for the resuscitation of the local pharmaceutical industry. "The Government is concerned by reports that some desperate patients are importing blood and blood products from neighbouring Zambia. This is against the law. We discourage such practices as the safety of the imported blood cannot be guaranteed. We do not know from whom the blood has been collected, whether the requisite tests – including screening for such micro-organisms as HIV and syphilis – has been done in a certified laboratory by a registered institution." In South Africa a unit costs R2 000 while it cost US$50 and US$85 respectively in Zambia and Malawi. In June 2016, the National Blood Services of Zimbabwe (NBSZ) reduced the price of blood from US$135 for the public sector and US$161 for the private buyers to US$120 and US$140, respectively. The prices were further reduced to US$100 in September 2016, before it dropped to US$50 in January this year.